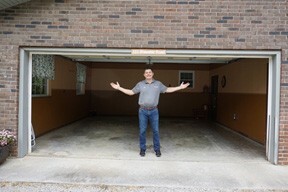 Like most company origin stories, ours starts in a parent’s garage. It was the summer of 2005 and David Brewster had finally made the leap of faith to start his own business. After working for 10 years in the water treatment business he knew he could do it better. Always have parts in-stock, hiring honest people, having organized and clean service vehicles, providing excellent customer service, and selling quality products. He moved his family from Alabama to Tennessee, filled his dad’s garage with bottle-less water coolers, and started knocking on doors. Until he got accepted to become a Kinetico dealer and start selling water softeners, drinking water systems, and the whole Kinetico line of products. Fast forward 13 years, and Aqua Clear Water Systems is a team of 40+ people and serves over 7,000+ residential and commercial customers. We didn’t get here overnight or because some stroke of luck. We got here because people like you can see, feel, taste, and smell the difference that better water makes in your life. And people like you trusted us to take care of your water.